This programme is the Ministry preferred intervention for students struggling to meet National Standards in Reading. At 6 years old the Diagnostic Test (Observation Survey for 6 year olds) is administered and from this the students are selected for this Programme. 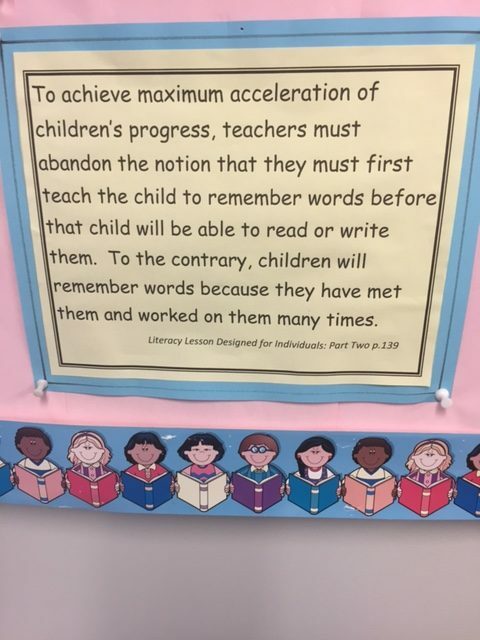 These are students with no Special Needs who have been at school for twelve months and for various reasons have not be able to begin reading to the desired standard. We are so very lucky in Murupara Area School that our Board and Principal support this programme as without this one to one intervention these already ‘at risk’ students will be even more disadvantaged. Our school Management permits two teachers, Kerry Huxford and myself to work with four students each per day – half an hour sessions and with skill enable them to be discontinued at National Students within the preferred 20week turnaround – therefore 16 students per year are able to be catered for. The Reading Recovery programme is not solely reading but writing as well.